Helping you discern between the options. At KG Workforce Solutions we are more than just recruiting. If you are unsure whether you need a staffing service, internal recruiter training, or RPO, we help you discern between the options and provide the solution that best meets your needs. KG Workforce Solutions offers a variety of staffing solutions to meet your needs including contract, contract-to-hire, or direct placement. Use one or several solutions depending on the needs for each position you are working to fill. KG Workforce Solutions hosts recruiting and on-boarding workshops and training classes that are designed for your organization. We work with your management team to identify your needs and execute a training solution for your recruiting or human resources staff. Recruitment process outsourcing is a type of business process outsourcing (BPO) where all or parts of an organization’s recruiting functions are transitioned to an outside vendor for design and management. RPO is not something new. It is, however, gaining popularity among employers who understand the value of hiring the right people and having the flexibility to respond to shifts in business staffing needs. After all, people are the most valuable assets of most organizations and the foundation for organizational success. Employers frequently outsource payroll services, benefits coordination, legal services, and IT services. These functions are frequently outsourced because it provides employers with cost savings, increased efficiency, and expertise that is not readily available in many workforces. So why not outsource recruiting to an expert? Recruitment outsourcing is not one-size-fits-all. Every solution is unique based on the needs of your organization and can be successfully implemented in a variety of ways, from segmented outsourcing to full service outsourcing. Recruitment outsourcing is a partnership between the provider and the employer. Most commonly outsourced recruiting processes include one or more of the following; sourcing, prescreening of candidates, job posting, interview preparation, on-boarding, hiring-related social media, and technology services. Let us be clear. RPO services are very different from staffing services for contract, contract-to-hire, and direct placement recruiting. 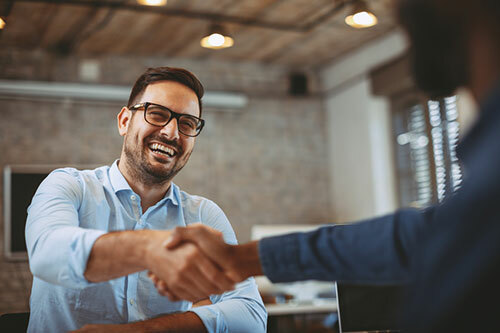 RPO is a true partnership between organizations and is best suited for employers looking for sustainable solutions to their long-term hiring needs and goals. or fill out the form below to find the solution that best meets your needs.